Brecon Beacons Holiday Cottages was set up by Elizabeth Daniel with just one cottage in 1980. Over the last 35 years, Elizabeth has grown the business and now has over 350 cottages on its books and is run from the centre of the National Park by a team of 10 people. We cover the vast 1000 or so square miles in and around the Brecon Beacons National Park. This crosses 5 counties; Carmarthenshire, West Glamorgan, Mid Glamorgan, Herefordshire, Monmouthshire and Powys. It’s an area steeped in history with plenty of culture and adventure. 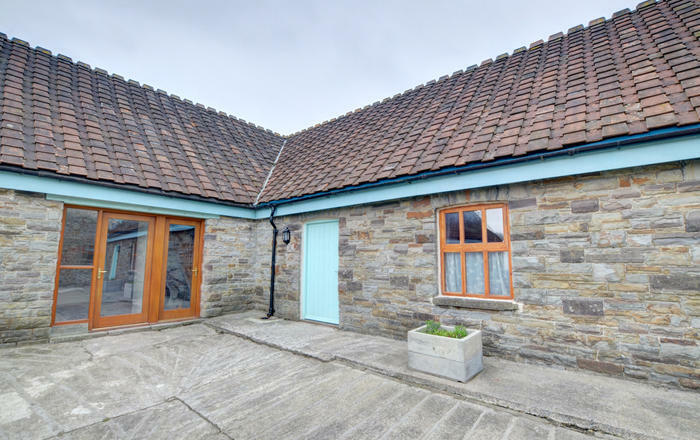 Fernlea is a very traditional, quaint and cosy self catering holiday cottage to sleep 6 people in three bedrooms. The cottage has a warm and welcoming open fire and an enclosed garden nestled in a small hamlet near Talybont-on-Usk in The Brecon Beacons National Park, Wales. 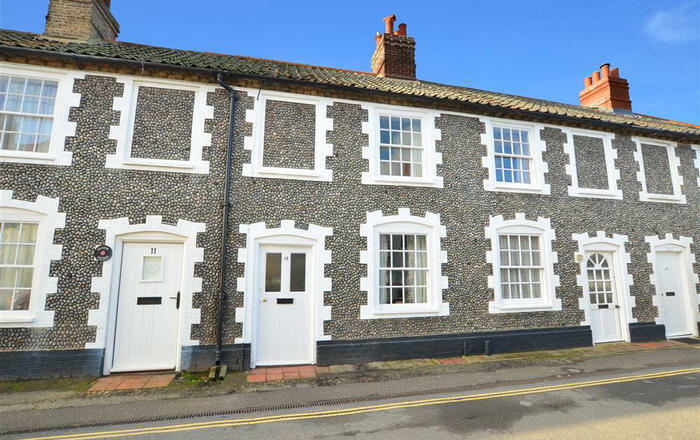 The cottage was built over 200 years ago and still owned by the same family, this cottage retains the feel of a much loved home. Filled with character and in a great location for anyone planning to walk or cycle in the area with The Taff Cycle Trail passes the door. There is the picturesque Talybont Reservoir and a Nature Reserve, a bird-watcher's paradise just a couple of minutes walk up the lane. There is also The Blyn-y-Glyn Waterfalls a few minutes drive further beyond the reservoir. Plenty to keep visitors occupied without leaving the immediate area. Add to this very easy access to Brecon and Cardiff and visitors will be spoilt for choice. 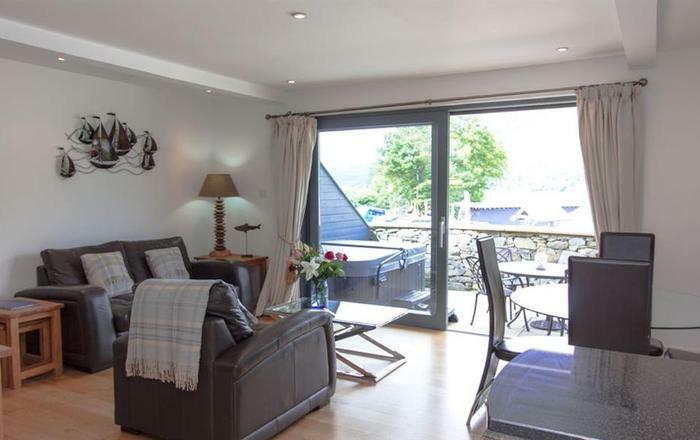 Those holidaying with friends or extended family should note that there are 3 or 4 other holiday cottages offered through us in the same hamlet. 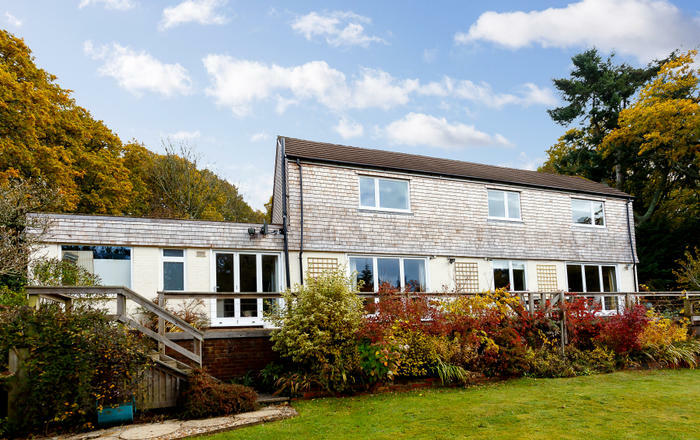 The spacious and particularly well equipped kitchen has an electric double oven with hob, microwave, dishwasher, large fridge and a freezer, washing machine and a tumble dryer. A downstairs cloakroom with a toilet and handbasin. The back door leads out to the enclosed sunny walled garden with lawn - a sunny place to sit with great views over the valley. Side access to the garden from the watton lane. The comfy sitting room/dining room has sofa and chairs set around a traditional open fire with a really good supply of logs. There is a dining table and chairs, an antique Welsh dresser, bookcase and desk with plenty of books and local information. A flat screen TV with DVD. There is a telephone for incoming calls. Through a door behind the fireplace is a flight of VERY STEEP winding original stone stairs. Bedroom 3: Bunk Beds with full size single bed mattresses. The family bathroom: Has a bath with shower over, toilet and handbasin. Bedlinen and towels inclusiveAll electricity and oil central heating inclusiveWood for the fire inclusiveOne dog welcomeGarden Furniture and BBQWIFI Due to the steep stone stairs not suitable for babes in arms or toddlersTelephone for incoming calls onlyParking one minutes walk up the road. Fernlea is a well loved and very well equipped home that has been owned by the same family ever since it was built over 200 years ago; the story is that the three cottages in this little terrace were built by the family for the "old folk" so they would not have to struggle up muddy tracks to the farms. Some members of the family still live in the area, whilst others live elsewhere but still return for holidays to keep in touch with their roots. The character of this cottage is very much in evidence with exposed stone walls, the original stone spiral stairs and a cosy open fire - 200 years on and still a great family retreat. Fernlea is a perfect location for a break. Located within a quiet hamlet in a stunning location, it's ideal for visitors bringing a dog with easy access onto the Brecon Beacons. The Taff Trail cycle route and the Henry Vaughan walk along the old Brynoyre railway track both run along the valley behind the cottage. This means that there is literally miles of uninterrupted walking straight from the door and plenty of excellent cycle trails. The Blaen-y-Glyn waterfalls are a few minutes drive from Fernlea and are well worth a visit. Alternatively, the picturesque Talybont Reservoir is very popular with bird watchers and has a dramatic dam. Many species of resident and migratory birds can be seen here and the reservoir is just a couple of minutes walk up the road. From Fernlea there is a very quick and easy route (not in the depths of winter) over the hills to Merthyr Tydfil (20 minutes) and Cardiff (40 minutes) for anyone who needs to be there for family or business or to enjoy Cardiff Castle, the rugby at the Millennium Stadium or the Millennium Centre for the Arts. This is a very scenic drive and takes you up right over the Brecon Beacons and down past the Brecon Mountain Railway - so loved by railway enthusiasts young and old. Fernlea sits on a green lane which runs up to Ty Watton, another traditional cottage which sleeps 6 and is available through Brecon Cottages. Nantymyndd is further holiday cottage in the hamlet and sleeps 4. This is an ideal arrangement for several families or groups of friends holidaying together.